Yum! I grew up with different variations of these little snacks. 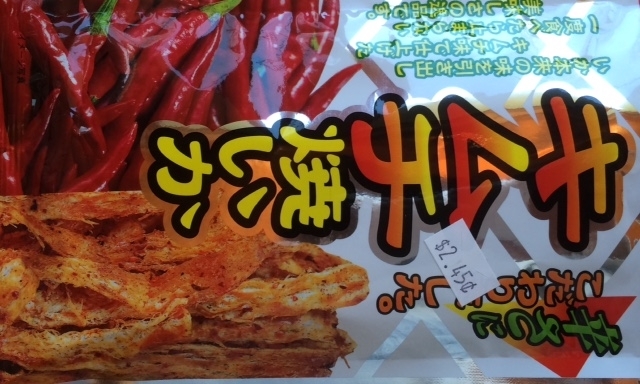 They also make dried scallop snacks too. Soooo good, that same slightly sweet, slightly spicy and so savory flavor with so much umami. Yes, yum! What??? No link in a different color to purchase? Is there a website maybe? Thank you Ruth as always. Moe, you can try any local Asian grocery store if you have them in your area. They’re all sorts of flavors, brands, etc., generally a huge variety, or try googling. Good luck! 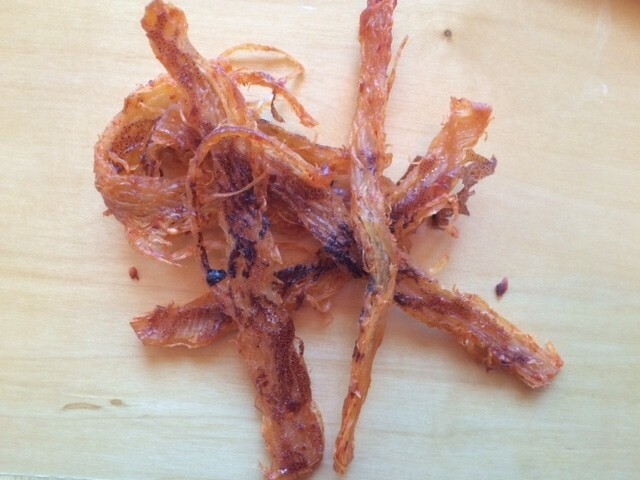 Kimichi Yaki(grilled) Ika(squid). 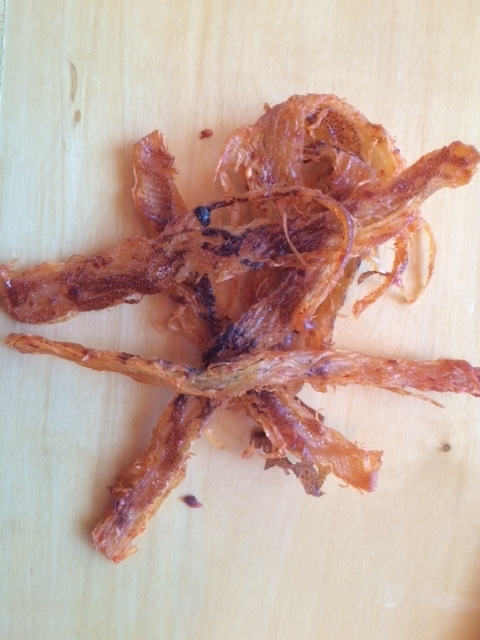 In old days in Tokyo, my favorite snack to buy at the movie theaters were dried squid to munch. In those days, there mostly one or two varieties ie very dry or soft and easy to bite. Hmmm… have to try these. Maybe at “driedsquid.com” or something? Looks like the beef jerky sold at down here at the huge and awesome truck stop Buc-ees (in Texas). Bet they’d sell it and do quite well.